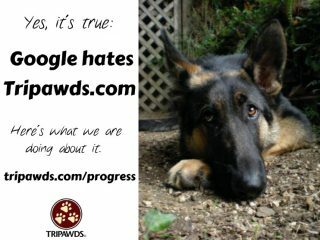 Helpful Tripawds resources are being hidden from concerned pet parents who need them most. 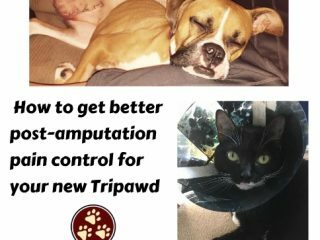 As a result, drastic changes are pending for the Tripawds community. 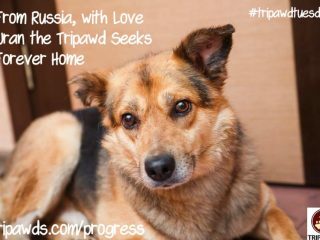 Meet Uran, the adoptable Tripawd rescue from Russia in our Tripawd Tuesday spotlight. 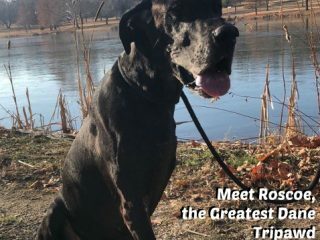 Vets thought he wouldn’t make a good Tripawd, but this Dane’s mom knew otherwise. See how he beat osteosarcoma with the ELIAS Dog Cancer Immunotherapy Treatment! Amputation happens to unsupervised tethered dogs. 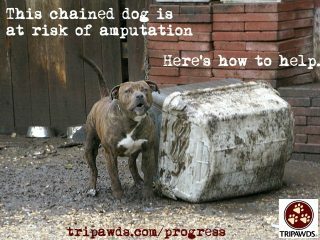 Here’s how you can help stop the chained dog Tripawd syndrome. 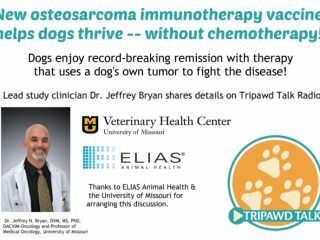 Osteosarcoma dogs enjoy long-term remission without chemotherapy thanks to ELIAS Cancer Immunotherapy Treatment and the University of Missouri Oncology Service. 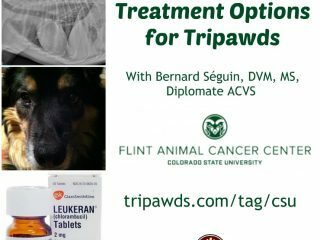 Learn your options for treating lung metastasis in Tripawds with advanced bone cancer, with Dr. Bernard Séguin, DVM, MS, Diplomate ACVS from the Colorado State University Flint Animal Cancer Center. 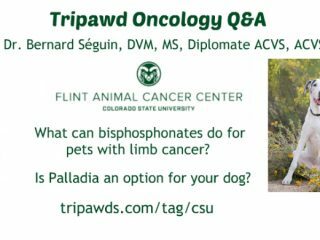 Learn about the most common Tripawd limb cancer treatments including bisphosphonates, Palladia (a “targeted therapy) and lung metastasis treatment options, as explained by the Colorado State University Flint Animal Cancer Center’s Dr. Bernard Séguin, DVM, MS, Diplomate ACVS, ACVS Founding Fellow – Surgical Oncology and Associate Professor, Surgical Oncology. 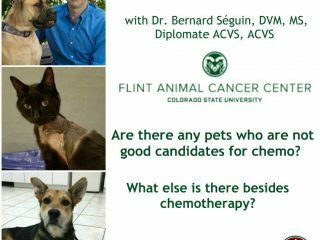 Pet cancer treatments are not one-size-fits-all and today you’ll learn which Tripawd chemotherapy candidates are ideal, as well as chemotherapy alternatives for those who aren’t, with Dr. Bernard Seguin from the Flint Animal Cancer Center at Colorado State University. 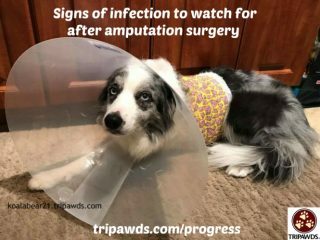 Most amputee dogs and cats won’t have a Tripawd amputation incision infection, but here’s what you need to know to avoid one.